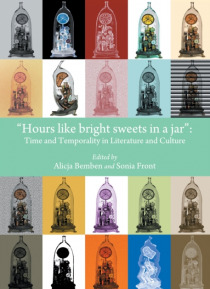 The papers gathered in the present collection investigate time and temporality from a number of interdisciplinary perspectives: literary or film studies, postcolonial theory, physics, philosophy, psychology, urban studies, history and gender studies. This wide spectrum of scholarly approaches encompasses chapters dealing with the convergences of time and the human psyche; time and the body; time a… nd memory; time and trauma; time and change; time and cultural reproduction; time and language; time and the city; and time and identity. It transpires that the imaginary refigurations of time more often than not constitute resistance against the linearity of chronometric time, represented by institutions, capitalism, government and power, and attempts to colonize the human psyche. In attempting to assault this hegemony of linear time, literary, cinematographic and cultural practice enacts exploding temporalities to reflect the multifacetedness and multidirectionality of the human experience of time.